You are thinking about doing business in Quebec, Canada through the immigrant investor program but for some reasons you are unable to come to Canada because the program is closed or you do not meet the selection criteria as an immigrant and investor. Contact us to see with our group of lawyers and immigration consultants with our construction company if there are other avenues and scenarios allowing you to come and do business in Quebec, Canada. Before even deciding what strategy to adopt, whether it is via the immigrant investor program, the entrepreneur, the self-employed or otherwise, you need support from A to Z to guide you in your information gathering to make an informed decision and then seek business opportunities, provide the legal tools and plots of land to run and manage business projects, construction and assistance to obtain contracts and projects in Quebec, Canada. 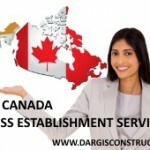 Construction Daniel Dargis Inc. is the only Canadian construction company to offer you as a business immigrant the complete support, from your life and business plan, to come to Canada through starting a business in Canada and the management of this business and obtaining contracts in construction. The Immigrant Investor Program in Canada receives many requests and places are limited. Perhaps it is worth its while as an immigrant investor to revise your business strategy at the source even before deciding with a lawyer or a consultant about the choice of the program. Construction Daniel Dargis Inc. collects information from the market of construction business in Quebec, Canada. It listens to your needs, analyzes your business and can provide solutions leading to the success of your business in Quebec, Canada through other options than the Immigrant Investor Program in Canada. Joining the immigrant investor program in Canada that is fine but to invest where, when and how, and then how do you obtain contracts if you do not have a business reputation in Quebec, Canada? Your experience as business people in your country of origin can be both your greatest achievement but also your greatest liability. Why? Because the rules of the game in the construction business and in real-estate projects in Canada are far from being what they are in your country. Certainly, you have demonstrated great judgment and wisdom in business and arranged good business contacts in your country, but in Canada there is a lot to relearn for an investor business person and immigrant. Construction Daniel Dargis Inc. comes to your aid as a complement to the immigrant investor program in Canada. Do not hesitate to contact us to help you consider other options and solutions with our partners immigration lawyers and specialized in Canadian business law and immigration consultants or to accompany you as an assistant and business complement to the immigrant investor program in Canada. Construction Daniel Dargis Inc. is the only construction company in Canada to support the business person, the immigrant and investor from A to Z in the areas of construction and real-estate projects.